Lam, R. (forthcoming). Assessment training in the use of portfolios: Voices from writing teachers. In L. Hamp-Lyons & J. Yan (Eds. ), Assessing the Writing of Chinese Learners of English. UK: Springer. Lam, R. (in press). Using Portfolios in Language Teaching (SEAMEO RELC, New Portfolio Series). Singapore: MarketAsia. Lam, R. (2019). Evolution of writing assessment in Hong Kong secondary school: Policy, practice and implications for literacy development. In B. Reynolds & M.F. Teng (Eds). English Literacy Instruction in Chinese Speaking Asia. Singapore: Palgrave MacMillan. Lam, R. (2018). Understanding assessment as learning in writing classrooms: The case of portfolio assessment [Special issue]. Iranian Journal of Language Teaching Research, 6(3), 19-36. Lam, R. (2018). Portfolio Assessment for the Teaching and Learning of Writing. Singapore: Springer. Lam, R. (2018). Teacher learning of portfolio assessment practices: Testimonies of two writing teachers. In H. Jiang & M.F. Hill (Eds. ), Teacher Learning from Classroom Assessment: Perspectives from Asia Pacific (pp. 99-119). New York: Springer. Lam, R. (2018). Promoting self-reflection in writing: A showcase portfolio approach. In A. Burns & J. Siegel (Eds. ), International Perspectives on Teaching Skills in ELT (pp. 219-231). London: Palgrave MacMillan. Lam, R. (2016). Implementing assessment for learning in a Confucian context: The case of Hong Kong 2004-14. In D. Wyse, L. Hayward & J. Pandya (Eds. ), The Sage Handbook of Curriculum, Pedagogy and Assessment (Vol. 2, pp. 756-771). London: Sage. Lam, R. (2015). Understanding EFL students’ development of self-regulated learning in a process-oriented writing course. TESOL Journal, 6(3), 527-553. Lam, R. (2014). Can student-generated test materials support learning? Studies in Educational Evaluation, 43, 95-108. Carless, D., & Lam, R. (2014). The examined life: perspectives of lower primary school students in Hong Kong. Education 3 – 13: International Journal of Primary, Elementary and Early Years Education, 42(3), 313-329. Carless, D., & Lam, R. (2014). Developing assessment for productive learning in Confucian-influenced settings: Potentials and challenges. In C. Wyatt-Smith, V. Klenowski & P. Colbert (Eds. ), Designing Assessment for Quality Learning (pp. 167-182). Dordrecht: Springer. Lam, R. (2011). Trying out comment-only marking (COM): A worthwhile experience. SLWIS Newsletter, TESOL, 6(2), 9-12. Lam, R. (2010). The role of self-assessment in students’writing portfolios: A classroom investigation. TESL Reporter, 43(2), 16-34. Lam, R. (2010). A peer review training workshop: Coaching students to give and evaluate peer feedback. TESL Canada Journal, 27(2), 114-127. Lam, R. (2008). Adopting effective portfolio-based assessment: An integrative approach. Modern English Teacher, 17(1), 36-41. Lam, R. (2006). Students’ perceptions of the implementation of portfolio assessment in the language classroom. In C. Davison (Ed. ), Enhancing Effective English Language Assessment in Secondary Schools: Integrating Theory and Practice. Quality Education Fund/Faculty of Education, The University of Hong Kong. Lam, R. (2018, August). Assessment as Learning in Classroom-Based Writing Assessment: Aligning Theory, Research and Practice. Siliwangi International English Conference 2018, Siliwangi University, Tasikmalaya, Indonesia. 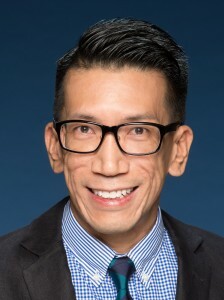 Lam, R. (2017, April). What Research Tells Us about Writing Portfolio Assessment in Practice: Trends, Issues and Future Directions. Hong Kong Association for Applied Linguistics Seminar, The Hong Kong Polytechnic University. Lam, R. (2017, March). Issues in Writing Portfolio Assessment: An Assessment-as-Learning Perspective. Learning & Teaching @ EdUHK Festival 2017: Innovation and Excellence, Department of English Language Education, The Education University of Hong Kong. Lam, R. (2017, March). Reflection on a Teacher Educator’s Professional Journey: Up Close and Personal. Learning & Teaching @ EdUHK Festival 2017: Innovation and Excellence, Department of Linguistics and Modern Language Studies, The Education University of Hong Kong. Lam, R. (2014, June). Helping students to tackle the standardized writing assessment: A genre-based perspective, Pearson 2014 HKDSE English Language Exam Analysis, Pearson, Hong Kong. Lam, R. (2013, April). Formative use of summative tests: Using test preparation to promote performance and self-regulation, Departmental Research Seminar, Department of Education Studies, Hong Kong Baptist University, Hong Kong. Carless, D., & Lam, R. (2012, December). Learning-oriented assessment in Confucian-influenced settings: Challenges and possibilities, Symposia on Classroom-based Assessment, The Second GDUFS Forum on Applied Linguistics, Guangzhou, China. Lam, R., Court, K., & Johnson, H. (2011, March). An enterprise project: Working with international partners, Faculty of Education Development Day: Scholarship, Research and Enterprise, The University of Cumbria, Lancaster, UK. Lam, R. (2018, March). Writing Assessment Literacy: Investigating Secondary-Level Teacher Conceptions, Knowledge and Practices, 53rd RELC International Conference on 50 Years of English Language Teaching and Assessment – Reflections, Insights and Possibilities, Southeast Asian Ministers of Education Organization – Regional Language Centre, Singapore. Lam, R. (2017, June). Writing portfolio assessment: Principles, issues and recommendations. The 16th Symposium on Second Language Writing: Assessing Second Language Writing, Chulalongkorn University, Bangkok, Thailand. Lam, R. (2017, March). Pedagogy on self-reflection in writing: An illustration of showcase portfolio approach, 52nd RELC International Conference on Dimensions of Language Education: Policy, Perspectives, Practice, Southeast Asian Ministers of Education Organization – Regional Language Centre, Singapore. Lam, R. (2016, March). Engaging students with feedback in language classrooms: We know why not how, 51st RELC International Conference on Teaching Literacies – Emerging Pathways and Possibilities in Language Education, Southeast Asian Ministers of Education Organization – Regional Language Centre, Singapore. Lam, R. (2016, March). A mirage or an oasis? Language assessment training in Hong Kong, 51st RELC International Conference on Teaching Literacies – Emerging Pathways and Possibilities in Language Education, Southeast Asian Ministers of Education Organization – Regional Language Centre, Singapore. Lam, R. (2015, May). Assessment as learning: Examining a cycle of teaching, learning, and assessment of writing in the portfolio-based classroom, International Conference: Assessment for Learning in Higher Education 2015, The University of Hong Kong, Hong Kong. Lam, R. (2014, June). Student-generated test materials as a means to empower learning, Second Thammasat University International ELT Conference, Redesigning the Ecology of Asian Englishes: Where Theory Meets Practice, Bangkok, Thailand. Lam, R., Mak, P., & Lee, I. (2012, March). Understanding EFL students’ self-learning capacity in two portfolio classrooms, TESOL International Convention: A Declaration of Excellence, Philadelphia, Pennsylvania, USA. Lam, R. (2011, June). Portfolio assessment as a process of change: Instructors’ perspectives, Symposium on Second Language Writing 2011, Writing for Scholarly Publication: Beyond “Publish or Perish”, National Taiwan Normal University, Taipei, Taiwan. Lam, R. (2009, December). Pedagogical and theoretical implications of two portfolio assessment approaches: Writing for learning or writing for evaluation? Third HAAL Research Forum, Hong Kong Association for Applied Linguistics, Hong Kong. Lam, R., & Lee, I. (2009, November). Balancing the dual functions of portfolio assessment: Lessons from a case study, Symposium on Second Language Writing 2009: The Future of Second Language Writing, Arizona State University, Tempe, Arizona, USA. Lam, R. (2008, December). Exploring two portfolio approaches in the EFL writing classroom, 13th International Conference on English in South East Asia (ESEA 2008): Englishes and Literatures-in-English in a Globalised World, National Institute of Education (NIE), Nanyang Technological University, Singapore. Lam, R. (2008, August). Designing effective portfolio assessment in the EFL context, 2008 Asia TEFL International Conference, Globalizing Asia: The Role of ELT, Sanur Paradise Plaza Hotel, Bali, Indonesia. Lam, R. (2008, June). Impact of peer review on EFL students: A case in Hong Kong, Symposium on Second Language Writing, Foreign Language Writing Instruction: Principles and Practices, Purdue University, West Lafayette, Indiana, USA. Lam, R. (2008, January). Integrating alternative assessment into a writing course: Examining teachers’ readiness, Responding to Change: Flexibility in the Delivery of Language Programmes, An International Conference, Hong Kong University of Science and Technology and Payap University, Hong Kong and Thailand.